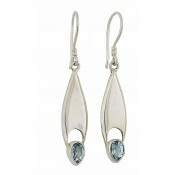 Take a moment to appreciate the simple beauty with these teardrop dangle earrings. 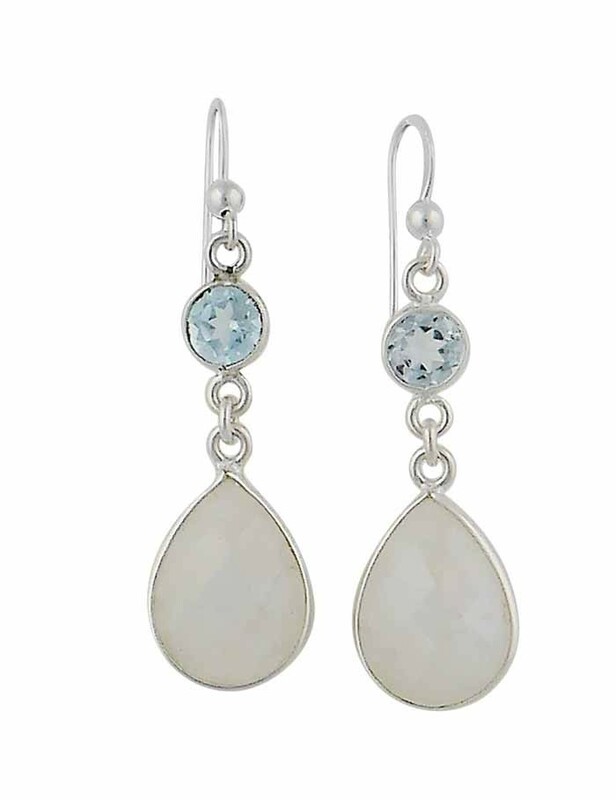 They feature a round Sky Blue Topaz stone against the lobe and a unique teardrop Rainbow Moonstone below. 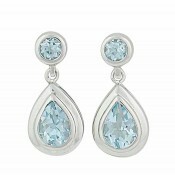 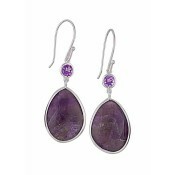 With their silver design and hook fittings, these earrings step in at any event to deliver glamour and style.